Pokemon Go. If you haven’t heard of it, go download it. 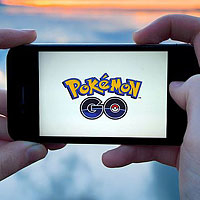 This new game is by far the most widely used augmented reality (AR) based app that existed to date. The growing awareness of AR by the masses is a good sign that we will be seeing more of the technology outside of gaming, including financial services and banking specifically. As the financial crisis led customers to low levels of trust and engagement with the banking system, technologies like AR, that elevate a strong level of engagement and social interaction, can burst the negative bubble and expose customers to a whole new positive experience. As AR and virtual reality become mainstream, customers will be expecting these technologies in every product. Personal finance might become fun after all.